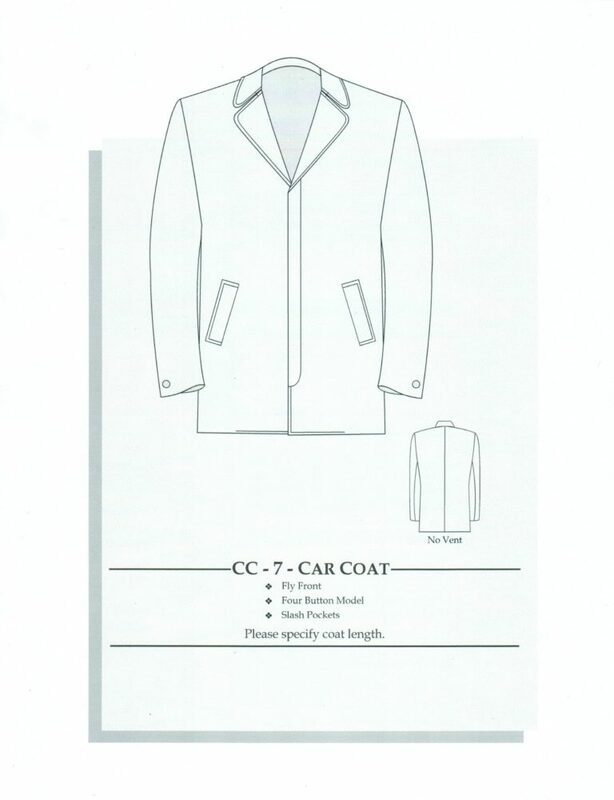 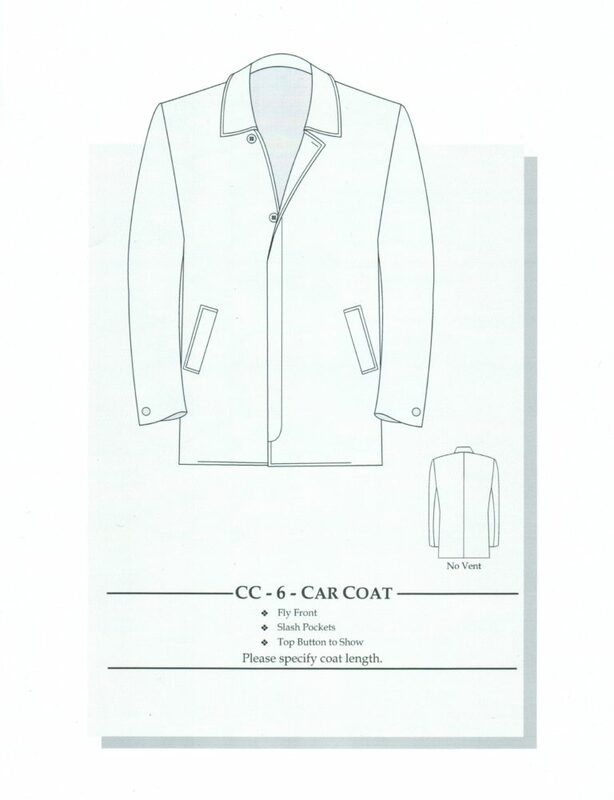 Pictured below are various examples of Topcoats and Car Coat styles for you to consider. 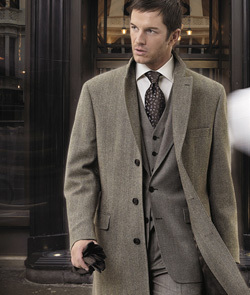 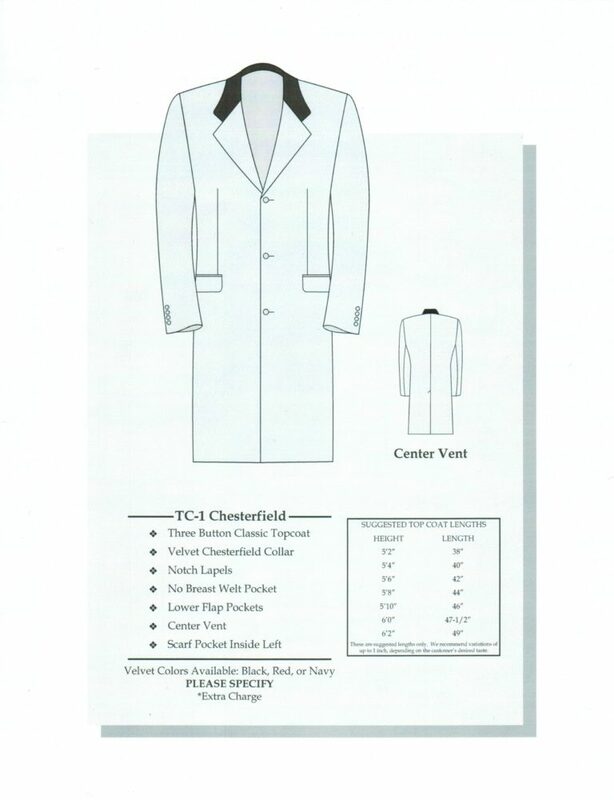 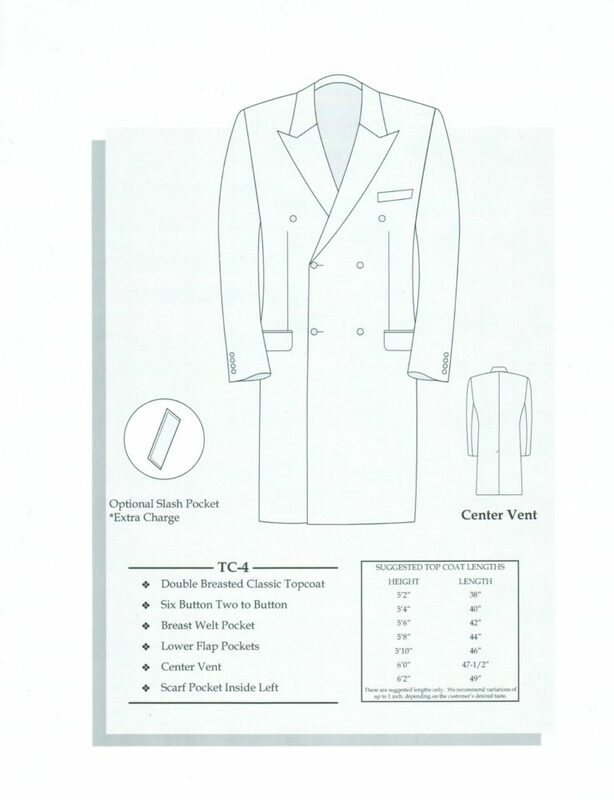 The classic and most popular Topcoat style is coat model TC-3 shown below. 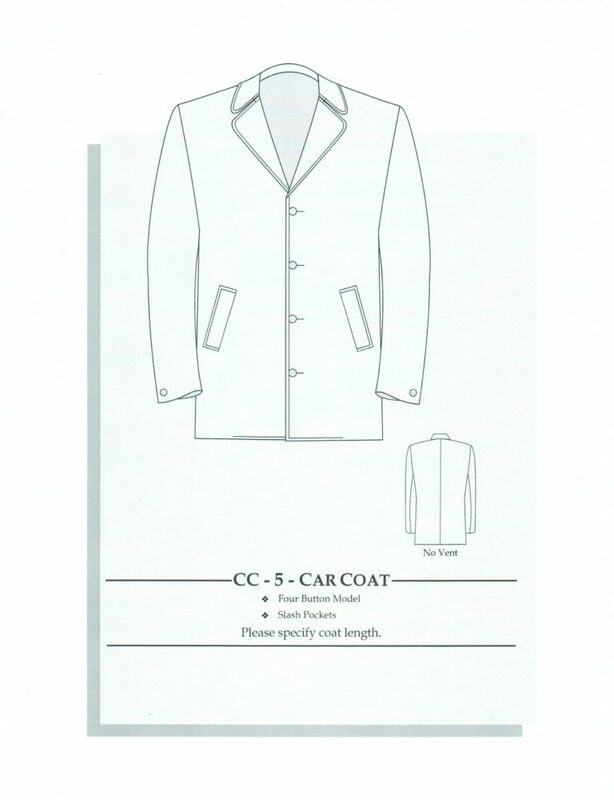 A traditional single breasted 3 button front style. 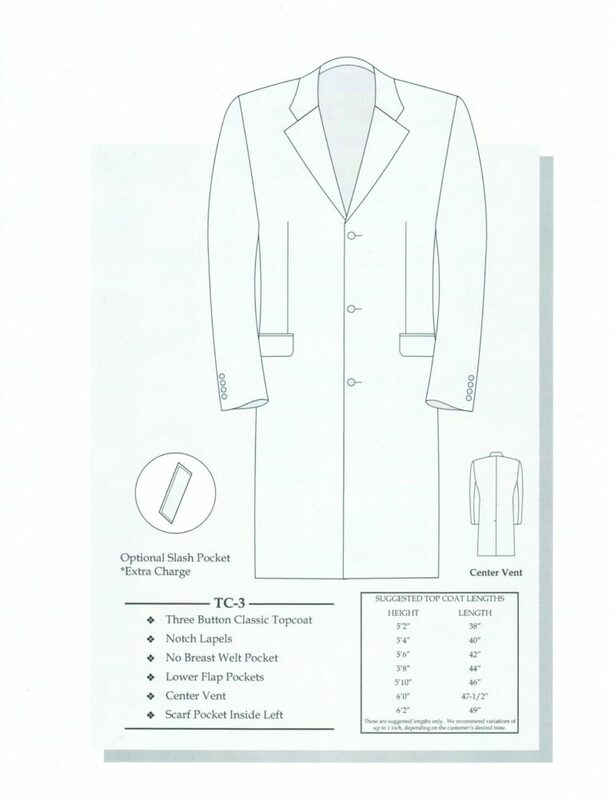 If you don’t have a particular style in mind our tailors can assist you with all of the styling options and provide you with recommendations for the best coat model and style for you.